One of the most popular questions I get is “What camera do I buy?”. I admit this decision is a hard one when you don’t know what to look for. Here are a few tips to finding the best camera for you! Try before you buy. Or at least hold before you buy. Go to a local camera store and actually physically hold different brands. For some the Canon brand might feel the best in their hands, for others the Nikon, or you may even like a Sony. You won’t know until you try though. Hold the camera, move the dials, press the buttons and see what feels best. This is important. Even better rent the camera for a week and decide if it is the camera for you! A great place to rent lens is Aperturent! Decide what you are going to use the camera for. Are you most interested in taking photos of your children? Are you interested in nature photography? Sports photography? Do you travel a lot and want to document it? What is your main focus with this camera? This will help you decide what lenses you need to buy. Don’t buy a kit. Don’t buy a camera kit that is bundled with a lens. Unless it’s a really, really good deal. Camera manufacturers often bundle the cheapest lens in kits, just to sell the camera with a lens. Let me tell you what the kit lens is good for….not much. Instead of investing your money into a kit with a lens bundled, I have a better idea. Buy a 50mm lens. Don’t know what that is or even what that means? I’ll explain below. Just know that this lens is a great portrait lens and an easy lens to learn with. 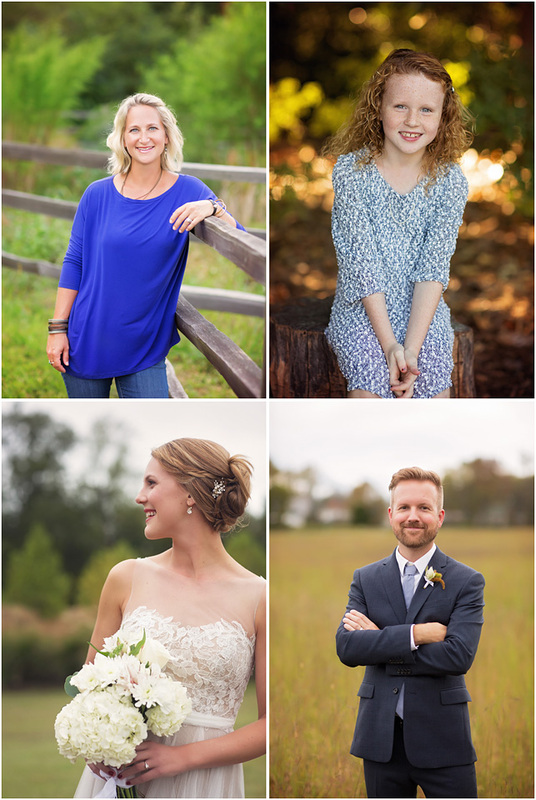 Know that blurry background that you love so much in professional photos? You too can get it. With your lens! Bonus – this 50mm is one of the most affordable lenses you can buy, often between $100-$150. DSLR (digital single-lens reflex) or Mirrorless? Great question. This is your personal preference. The biggest differences between the two are battery life and size. With a DSLR you will get a longer lasting battery and an option to add a grip to add an additional battery. With a Mirrorless you will have a lighter, much more compact camera. With the small size comes a larger price however. Image quality between the two are comparable. For entry level I recommend the following cameras: DSLR: Canon Rebel T6i, Canon Rebel T5i, Canon Rebel T5, Nikon D3300, Nikon D3200, Nikon D5200, Nikon D5300 Mirrorless: Sony Alpha 6000, Sony A7 II, Panasonic GX7, Panasonic GX8. Some mirrorless cameras come with a viewfinder (the place to look through) and some just come with the LCD display. I always prefer a camera with a viewfinder. What Lens do I buy? There are so many. I totally get it. It’s overwhelming at first, but it’s important. Let’s break it down. If you want something to practice with buy a 50mm lens. A 50mm lens is a good portrait lens and it’s close to what you see with your eye. Meaning you are not going to get zoomed in with this lens and you are not going to get a wide angle with this lens. Well Jody, I need to shoot my kid’s baseball game from the bleachers. Well then you need a zoom lens. I have a 70mm-200mm lens for this. See how that “mm” number got bigger? That means you are zooming in. See that “-” that means this lens can be zoomed in and out. 70mm to zoom in a little and 200mm to get zoomed in a lot. No standing close to the person for this lens! Need a wide angle lens? Taking photos of the inside of your house or in cramped quarters? A wide angle lens will help with that. You’ll need a “mm” number lower than 50mm to get wide angle. Think 24mm or lower. So the lower the “mm” number the wider the lens (the more you can see in the photo) and the higher the number the more zoomed in the lens will be. Remember lenses are like jewelry. If you stay with the same brand you can keep this lenses forever. If you need photographic proof of how beautiful a non-kit lens can look. All of these images were taken with a 50mm or 85mm prime (fixed focal length) lens. Where should I buy? My two favorite places are B&H Photo and Adorama. You can also buy at Best Buy, Walmart, Target, etc. There is a used equipment store called KEH that is amazing too. They will rate used camera equipment and then resell it based on the rating. That way you know what you are getting! I do not recommend Ebay or Craigslist for this. You don’t know what you are going to get and it’s highly possibly the equipment might not have been taken care of before it got to you! My Aunt Martha has an old DSLR she doesn’t use anymore. Can I just use that? Absolutely! When you are learning, any DSLR is a good DSLR. I always tell my students, don’t upgrade your camera body until you feel limited. If you can’t get the shot because you are limited by the camera, then you upgrade your camera body. What else do I need to buy? Please, please buy lens filters for each of your lenses. Also don’t buy the cheapest lens filter. Lens filters (UV filters) protect your lenses and believe me once you start investing money into lenses you’ll want to protect them! I personally use B+W brand. To determine what size lens filter you need for the lens, take the lens cap off and look under. It will say the size there. Example: 77mm. Also you’ll need a camera bag! Camera stores sell them. 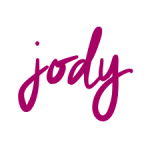 If you are looking for something more cutesy here are a few of my favorite stores: Epiphanie Bags, Jo Totes Bags, and Kelly Moore Bags. Your camera should come with a camera strap but if not they sell some really cool ones on Etsy! Buying a camera is an exciting time! What camera do you have? Do you love it? Any tips you would recommend to someone buying a new camera? Feel free to leave a comment! We’d love to hear your opinion. Q: What type of camera do I need to take the class? A: Because of the nature of the class and our method for teaching, you will need a DSLR camera. Point and shoot cameras will not be allowed for the class. For example: Nikon Coolpix, Kodak EasyShare, Canon PowerShot, Panasonic Lumix are NOT DSLR cameras and will not be allowed to register. If you register with a non-DSLR camera, you will be notified and asked to bring a DSLR or you can cancel and get a refund. Q: What cameras do you recommend? A: We recommend Canon and Nikon brand DSLRs because that is what we use, but we do know Sony also makes a quality DSLR. We recommend that you purchase the body separate from the lenses, and do not purchase the “kit lens” that comes with the camera. A great lens to pair with your new DSLR is a 50mm lens! We will explain more about that in class! Q: What lenses do you recommend? A: While we go over a specific set of lenses during out intro class, we really like a 50mm f/1.8 or f/1.4 for portraits and find this lens is affordable and easy to find. Q: I can’t decide if I should take the Intro or the Advanced class. I think I know more than just an Intro class and I don’t want it to be a waste. What should I do? A: Are you shooting in full Manual mode? As in, picking the iso, aperture, and shutterspeed to get the proper exposure? Do you fully understand how those 3 settings work together? Do you have a good understanding of light, lighting techniques, open shade, and posing techniques? If you answered No to any of these questions, then you should take the Intro Class. Our Intro class teaches you so much – more than what even some Advanced classes teach at other locations, so don’t let the name fool you! Q: I am trying to register for a class, but when I click “PURCHASE” nothing happens. What am I doing wrong? Q: I’ve registered for a class but something has come up and I need to change my date. How do I move classes? A: As long as it’s more than 7+ days from your class, you may email us through our contact form and let us know what class you are currently registered for and which date you’d like to move to. We will be happy to make the change for you and send you a new ticket! Q: What sort of alumni discounts do you offer? A: For students who have taken the Intro or any Editing classes, we offer a $25 off discount on the Advanced Workshop. Email us with the date you attended a class and we’ll send you a coupon code to use to register for a future Advanced class. A: Yes we do! Email us through our contact form! Include the class or amount you’d like to purchase the gift certificate for, as well as the name of the person who the gift is for. Once we arrange and receive payment, we will send you the certificate! Q: When will you send out information about specific times, locations, and what to bring for the class? A: It is about 7-10 days before the class. If you don’t receive the email within 5 days of the class, please check your SPAM folders, and then send us an email through our Contact form if you can’t find it! Q: You asked me to bring my camera manual to class and I cannot find it! What do I do? A: If you have a Canon or Nikon camera, the odds are we won’t need your manual, so don’t worry about it. If you have another brand of DSLR, we recommend finding the manual online and bookmarking it or printing it out, and if there’s something we need to figure out, you can reference it. Q: Will you be running on Groupon again soon? A: We don’t have any plans at this time. Look on our Facebook page for our monthly deals! We often have coupon codes we post on Twitter, Facebook and Instagram too! Q: I want to register for a class that is already full. How can I get added to the waiting list? A: Find the class you are interested in registering for that is full, and click on it. Once inside if there are no more tickets available, there will be an “Add to waiting list” button. In the event a spot opens up in that class, you will be added and notified automatically. If something comes up for an earlier class where there is no waiting list, we will contact you. Q: I’m taking the class with a friend. Will we be able to sit together? A: If you have the same brand of camera, then yes. We separate the class by Nikon/Canon/others to make it easy for us when we go around teaching the functions. 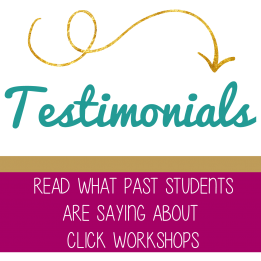 Q: I want to hear some real testimonials from your classes, do you have any? A: We sure do, check them out here:http://www.kudzu.com/m/Click-Workshops-20687294. We love our Click Alumni! Q: I am sick and cannot make it. It’s under the one week time frame allowed for reschedules, what can I do? A: We understand people get sick, but unfortunately due to the high demand for our workshops, we cannot give you a full credit and allow you to re-register for another class. There are no refunds. No shows or cancellations with no notice will not be granted the credit toward a future class. Think of our classes like a concert event. If you had paid for a ticket and didn’t show up for the concert for whatever reason, you couldn’t ask for a refund the next day :). Thank you for your understanding! Q: I am a photographer and am interested in joining your team in my area. Are you expanding locations or looking for more instructors? A: Yes! We are looking to grow Click Workshops in new geographies. If you are interested in learning more, please email us – jody@clickmarietta.com. Q: I am interested in modeling, or having my child model, for your workshops; What can I do to to get on your list of models? A: Please email jody@clickmarietta.com for volunteering opportunities! Click Photography Studio offers photography, videography and workshops in the Atlanta area.